Faisal Habibi (b. 1984) is a contemporary artist based in Bandung, Indonesia who has been building an oeuvre that concentrates upon the nature of objects and its discrete relationships to human life. Throughout the more early phase of his explorations, Habibi was mostly interested in the manipulation of seemingly anonymous, daily objects and somehow embedding a sense of personality or identity to them. Thereafter, his explorations turned further and further into more abstract, formal considerations. 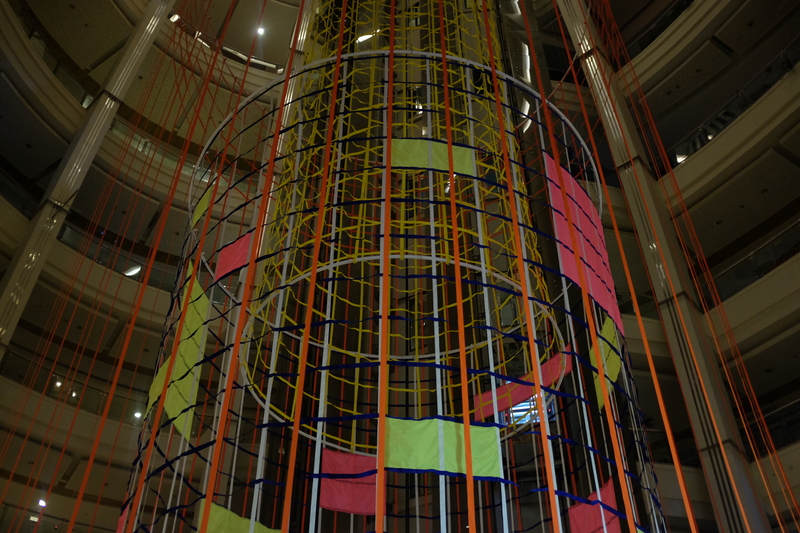 For a iconic, monumental glasshouse atrium of Pacific Place Jakarta, Habibi has developed his most substantial site-specific work Disillusion (30 meters height, 8 meters in diameter) which takes his investigation into the nature of physical objects to new territories: to what extent do the boundaries between the physical and digital in today’s society interweave between each other? Disillusion manifests itself as layers of cylindrical forms constituted through lattice, cross-hatch structures made out of industrial lines that contain interplays between color and light. The work discusses the nature of predefined grids, or ‘windows’, that then affect the way that people perceive their surroundings and thereafter their personal assessments on choices and decisions. Each square in Disillusion represents algorithmic configurations present in the plethora of interfaces that people interact with every day: through websites, advertising, and mobile phone applications. Habibi essentially then questions the nature of human agency in relation to these new developments. To what extent are the decisions we make truly our own, when increasingly complex algorithms driven by commercial or political forces, have in many ways predetermined the things we see in the first place? Disillusion, then, acts as societal marker to contemplate upon the nature of an individual’s identity in response to an environment where forces behind algorithms continue to press further and further into shaping our preferences and decisions. The installation will be shown until 19 August 2018 as a part of Jakarta Art Week. Selected Exhibitions: Solo Presentation at Art Basel Hong Kong with ROH Projects (March 2018), Solo Presentation “Fiillet” at Sullivan+Strumpf Gillman Barracks (February 2018), and “This is Not an Apple” (December 2015) at ROH Projects, Jakarta. Faisal Habibi has been awarded with numerous accolades including Kompetisi Karya Trimatra Salihara, Indonesia Art Award, and Bandung Contemporary Art Awards. 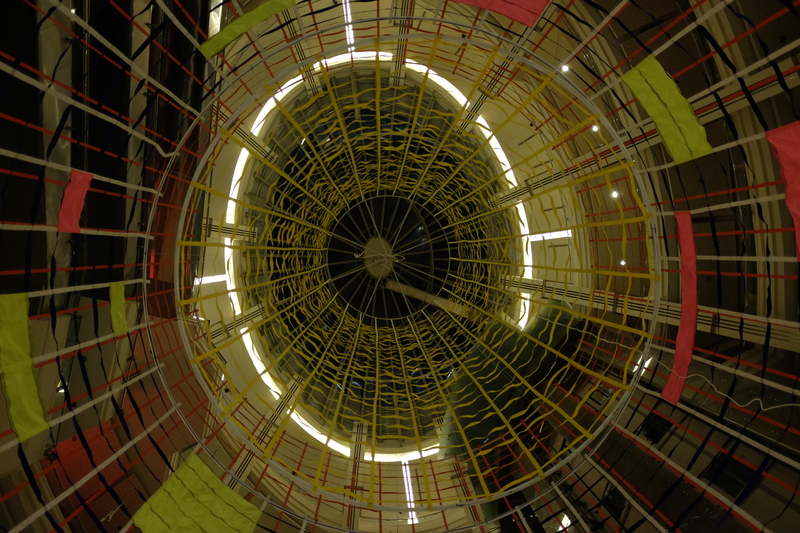 He also participated in a three-month residency program at the Zentrum für Kunst und Urbanistik (ZKU – Center for Art and Urbanism) in Berlin (March 2014).